Sweden’s second largest city with a population of around 550,000 inhabitants, Gothenburg, ranks also second in arriving tourists and is a destination that many of you plan to visit in combination with visiting Stockholm. Gothenburg lies quite near Stockholm at a distance of about 400 km / 250 mi which can be traveled by train in 3 hours. In this article I am going to write in detail you about my 3-day visit to Gothenburg. I have also written about a one-week route to Gothenburg and the West Coast of Sweden up to the border with Norway. 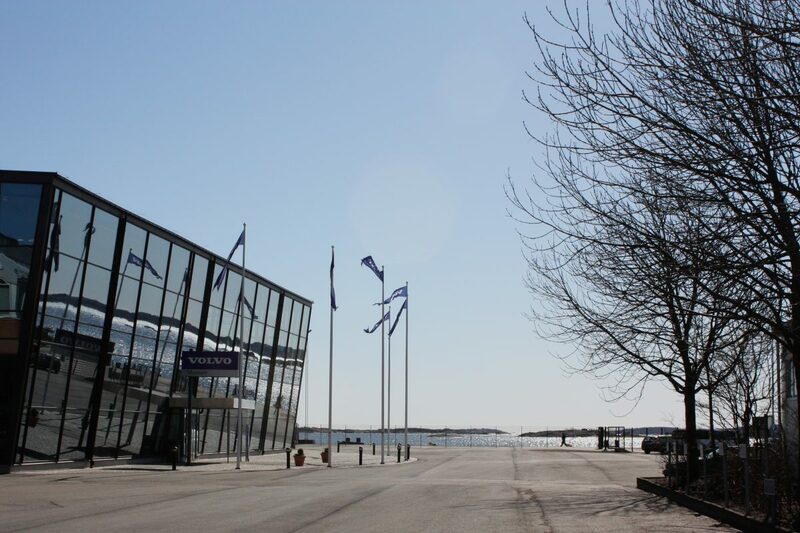 To reach Gothenburg city center from Landvetter airport you can use a taxi or flight buses Flygbussarna. This one is the one I recommend as the price is about 12 € / $15 / £10.50 each way and can be booked online here. 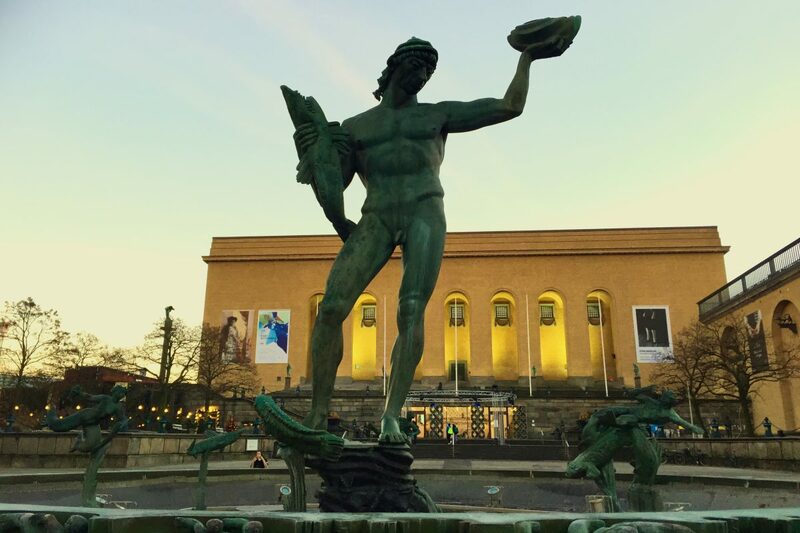 On the first day you can walk through the neighborhoods of Nordstaden and Inom Vallgraven during the morning and in the afternoon walk along the famous avenue in Gothenburg called Kungsportsavenyen. One of the visits you surely would like to do is the (1) building that looks like a lipstick and that is also its slang name in Swedish – Läppstiftet – which is a popular destination and sight in the skyline of the city. 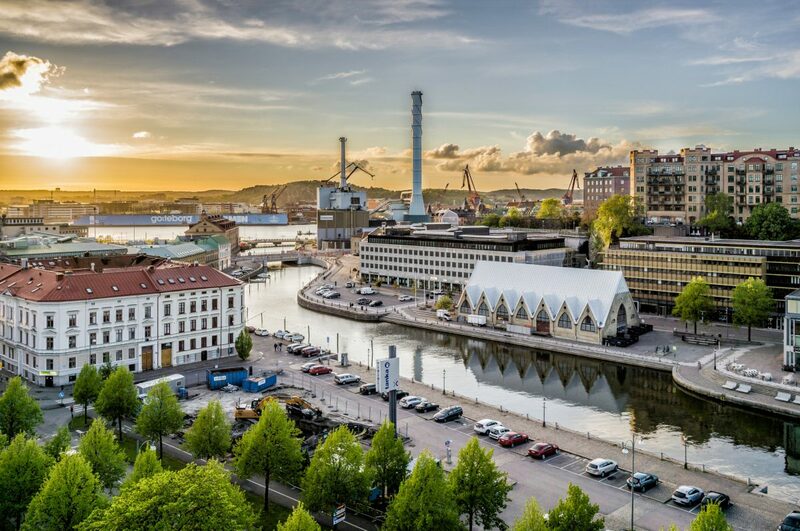 The building is located by the river Göta and there is a lookout on the upper floor where you can check the panorama views of the city. The Gothenburg Pass tourist card offers free entry to the building and lookout. Beside the building you will find (2) the hotel-vessel Viking which always makes for a perfect photo spot and (3) Gothenburg’s Opera where you can also find a nice place to take good pictures of Viking and Läppstiftet like this one below. Close to the Opera there is (was?) (4) Älvrummet, a museum dedicated to Gothenburg and its transformation through time due to its location by the Göta river (Götaälv in Swedish). Walking by the Opera and heading to the mouth of the river you will find (5) Maritiman, a museum dedicated to vessels, ships and navigation. Being Gothenburg Sweden’s biggest port and one of the biggest in Scandinavia and having the international relevancy it once had it is no surprise that this museum is located here. 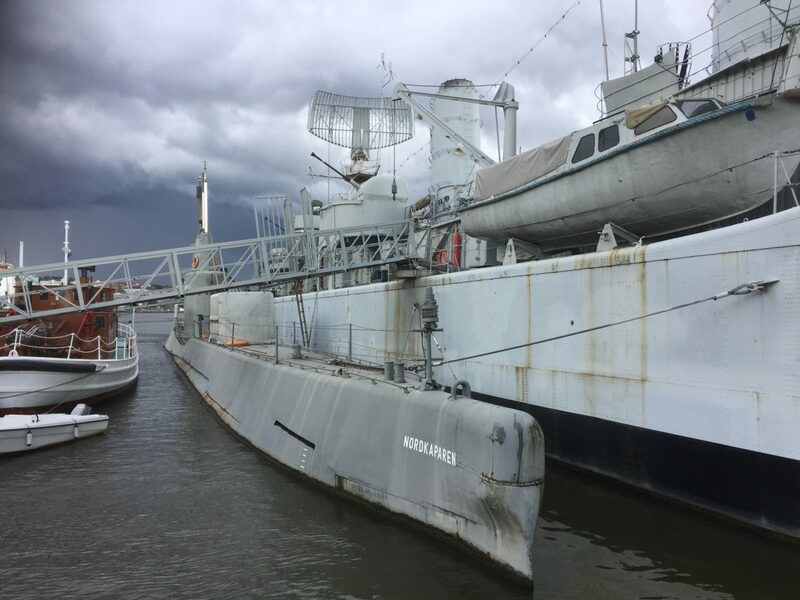 You will be able to get on board different vessels (like the submarine Nodkapparen or the destructor Småland). There is also clothes and props to try on and feel what life was for seamen. 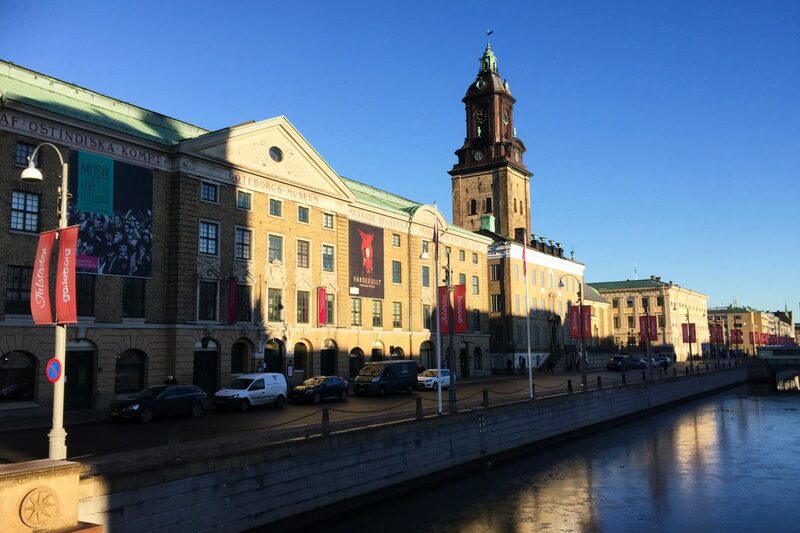 Your next stop will be the essential (6) Stadsmuseum or Gothenburg’s City Museum. In this museum you will find the story of the city since its beginnings (2021 will be the year of its 400th anniversary!) and a part dedicated to the history of vikings explaining their lifestyle, showing interesting objects (like the only viking vessel that you can see in Sweden) and many more things. 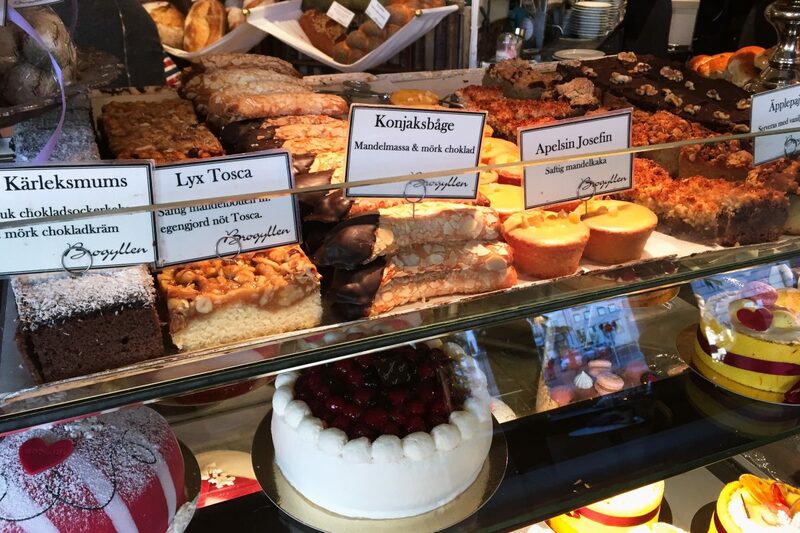 If you feel like having a fika – the Swedish habit of drinking coffee or tea while having something to eat like a pastry or a small sandwich – cross the bridge over to (7) Brogyllen konditori and try one of its delicious pastries. Then walk towards Gustav Adolfs torg – where Gothenburg’s City Hall is located – and from there towards (8) Nordstan – Scandinavia’s largest shopping mall – in the ground floor the usually have a flea market (loppis in Swedish) where you can find souvenirs at a good price – or walk through (9) the shopping district in front of Nordstan in Fredsgatan street and surrounding areas. If you feel hungry by now head towards the lunch menu at (10) restaurant Atelier at hotel Pigalle’s last floor. Head towards (11) Kungsportplatsen square to have a look at Karl IX’s statue, a meeting point for the people of Gothenburg, made in a 88% of copper. It was Karl IX who established the first settlement called Gothenburg in the Hisingen area – on the other shore of the river – that once destroyed in war with the Danes was refounded again in this part of the city to become the current Gothenburg. 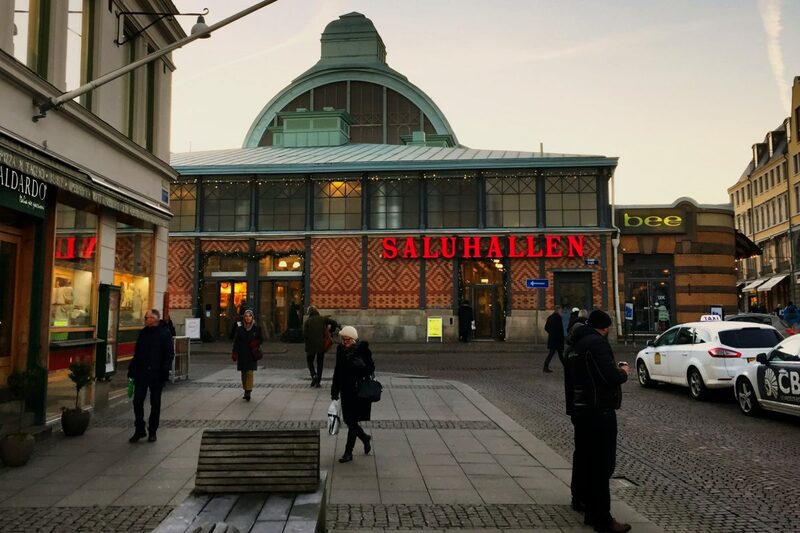 Walk through the square on the left side of Hotel Avalon and you will meet (12) Stora Saluhallen, a local market with Swedish and international delicatessen founded in 1889. Very interesting to visit or even to have a cheap lunch. 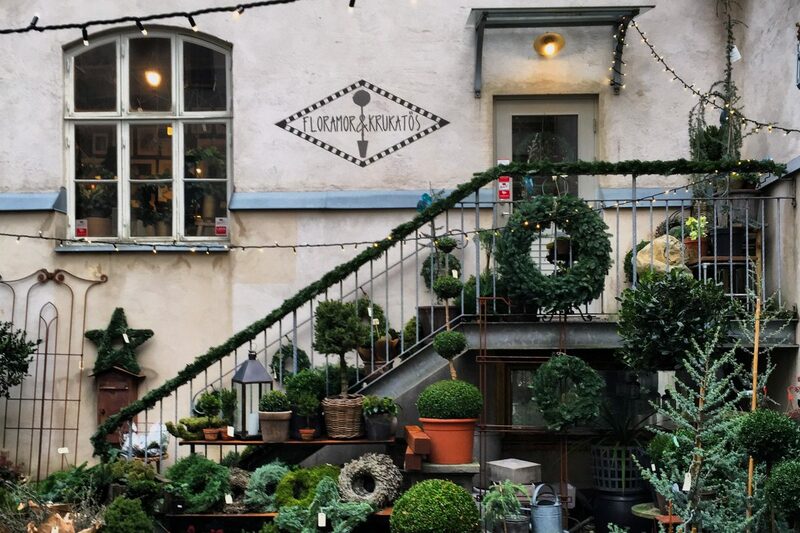 Continue over Södra Larmgatan and to your right you will find a super cozy alley called (13) Victoriapassagen where you will find hipster barber shops, flowershops, paper shops and home decor shops that Swedes love so much. 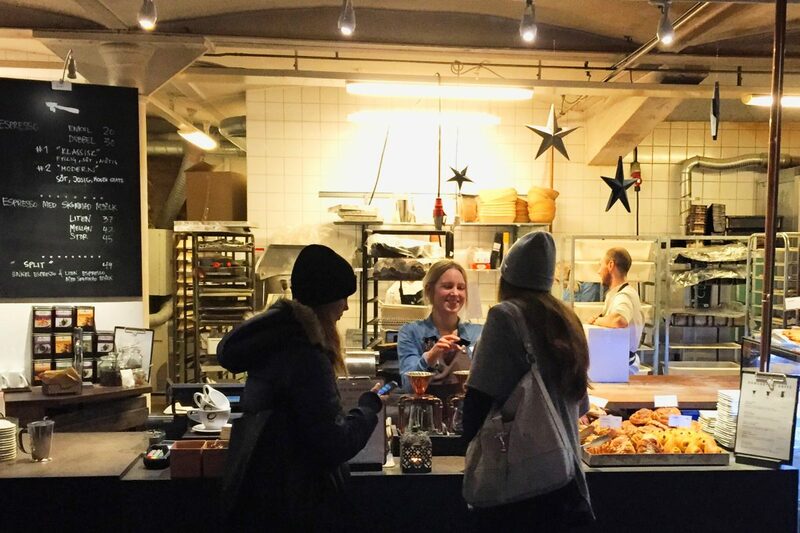 In Vallgatan street turn left and continue towards Magasingatan – one of the most popular streets at the moment – and you will find one of the best cafeterias in Gotheburg called (14) DaMatteo. This place was elected as Sweden’s best cafeteria in 2015. Not only great fair-trade coffee roasted on the spot but great ambient and many people in the terrace during sunny summer days. Home-decor and interiorism lovers will feel at home at (15) Floramor & Krukatös – a hidden boutique located in the patio of a group of buildings at Kaserntorget nº8. You can reach it also by exiting Da Matteo through the backdoor where the roasting equipment is located. From here you can visit another iconic spot in Gothenburg, (16) the Fish Church or Feskekörka which is a fish market located in a building that resembles an old Norwegian Church. If you did not have any lunch yet you will find Restaurang Gabriel in the inside of the Fish Church which is a must for all of you who want to try local seafood and fish dishes. A 5-minute walk from the Fish Church there is a place for polyglots and language learners like myself. Språkcaféet or the Cafe of Languages is a place that I always visit when in Gothenburg. Every night people meet to learn and talk in different languages. Walk from the Fish Church through (17) Kungsparken park until you get to Kungsportsavenyen – the avenue that you can walk along to (18) Poseidon’s Statue. There you will find (19) Gothenburg’s Museum of Arts – Göteborgs Konstmuseum – and The Hasselblad Museum dedicated to this famous Swedish photocamera and to famous pictures made with it like the ones the NASA took on the Moon in 1969. Dinner in the vicinity can be enjoyed at a place offering local products … so local that they show in the carte how long away the producers are from the restaurant. The place is called (20) Restaurang Familjen. 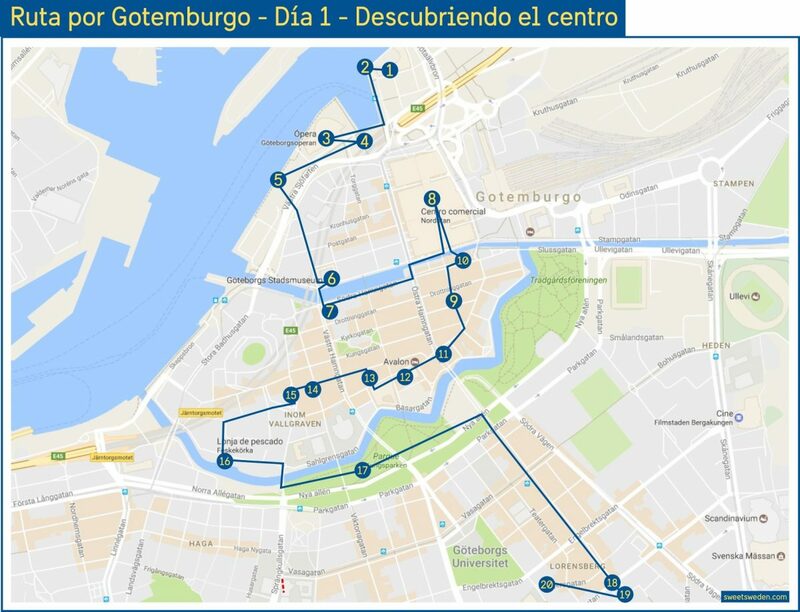 This is the map for the day 1 in this route through Gothenburg. The day starts on the opposite side of the Fish Church and takes us through the historical neighborhood of Haga. 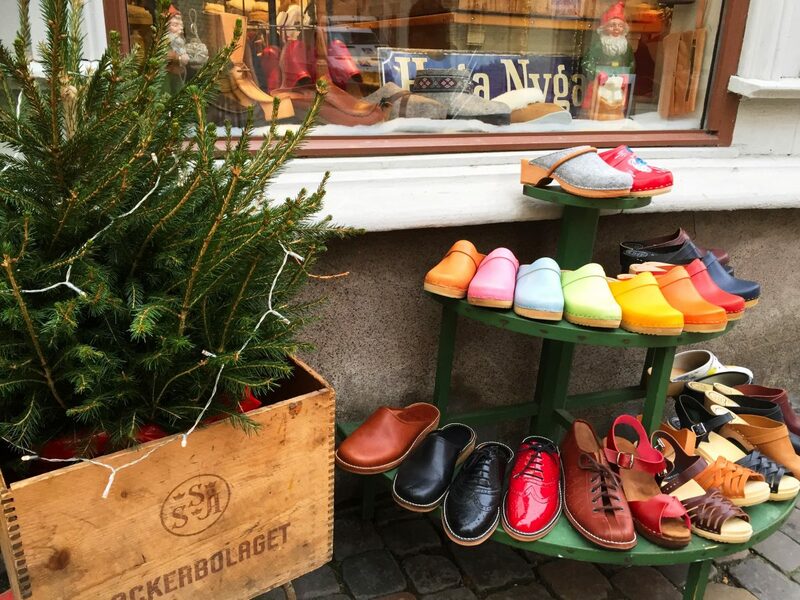 The best way is to start walking along the main cobbled street (1) Haga Nygata where you will find wooden houses, antiquities, delicatessen, second-hand shops, Swedish clogs, ecological soap and much more. If you are lucky and the weather is good walk up towards (2) Skansen Kronan, a historical fortress that served as a prison until the mid 19th century. 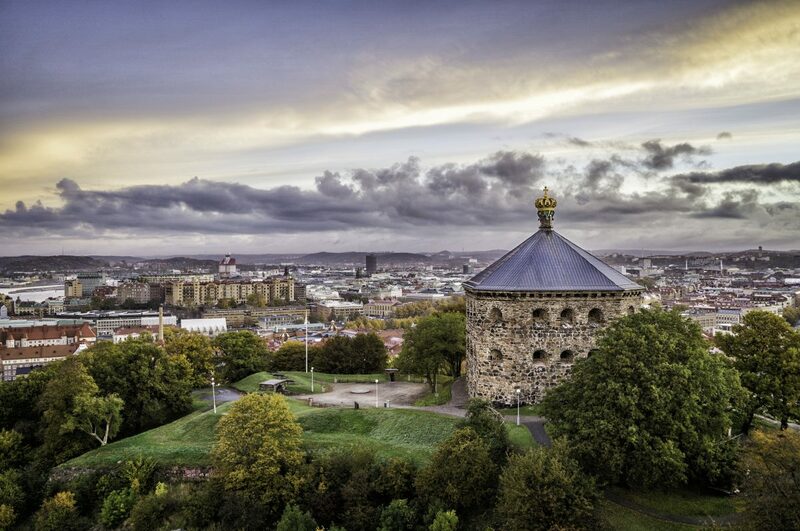 It is not an easy walk due to the many steps in the stair but the panorama views of Gothenburg are worth it. If you fancy a fika back in Haga Nygata head towards (3) Café Husaren to enjoy the so-called Hagabullen which is nothing but a giant cinammon bull. Walking through Haga Nygata street you will reach Linnéstaden a neighborhood which is becoming livelier and livelier. 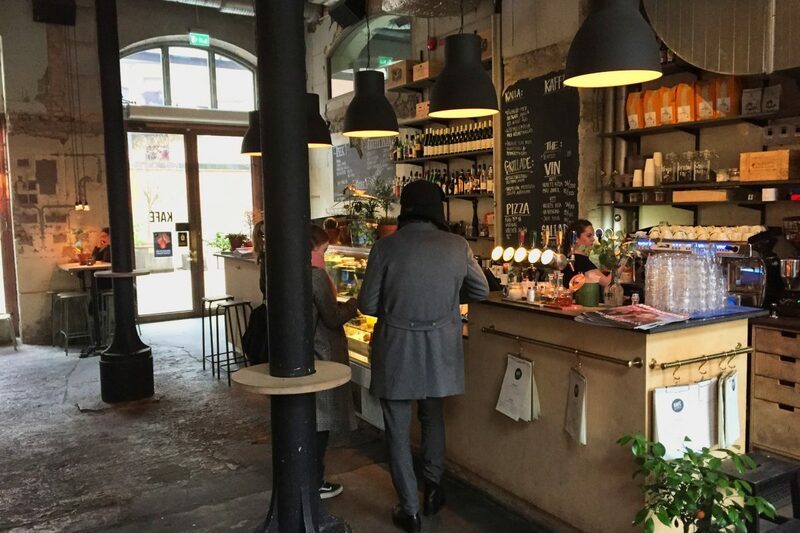 Head to Tredje långgatan street to (4) Kaffé Magasinet to enjoy a fika or a Swedish beer at its well decorated terrace or in the industrial-designed interior. Afterwards, take a walk through this neighborhood. 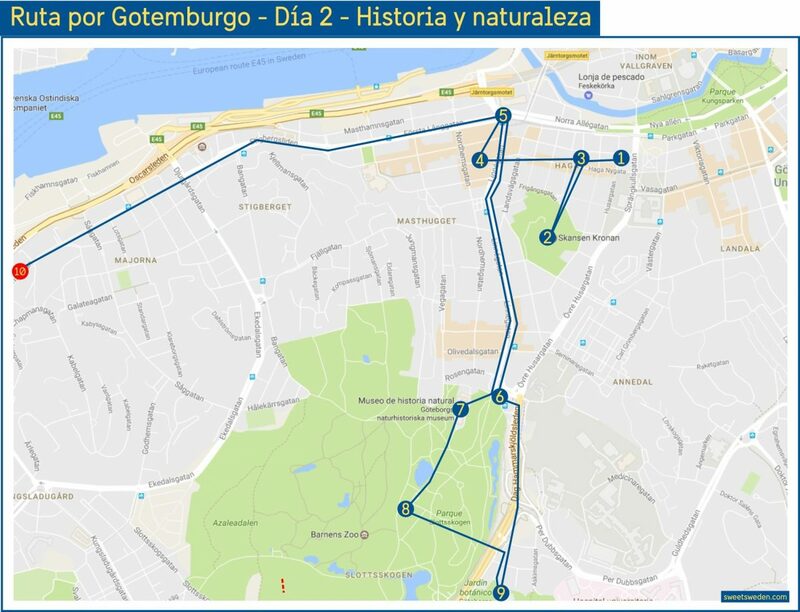 Later take the tram at (5) Järntorget to (6) Linnéplatsen to experience the natural part of Gothenburg at (7) Gothenburg’s Museum of Natural History, (8) Slottskogen city park and (9) Gothenburg’s Botanical Garden. Both Slottskogen, opened in 1874, and Botaniska Trädgården deserve a visit that would last for hours. Take your time as you like. 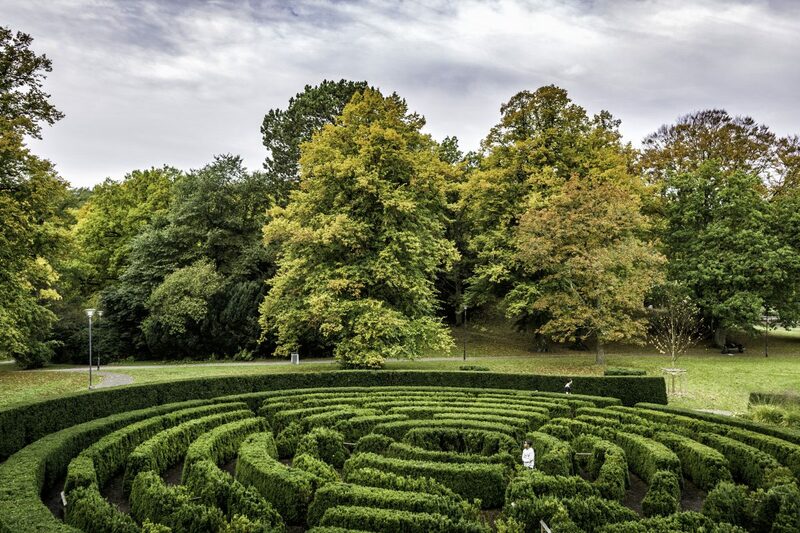 At Slottskogen you will also find a small park with animals and a zoo for kids with ponies from Gotland, Gute sheeps and other Nordic animals like moose or reindeer (it is like Skansen in Stockholm but with free admission). During spring and summer there is also a flea market and a playground for the little ones. 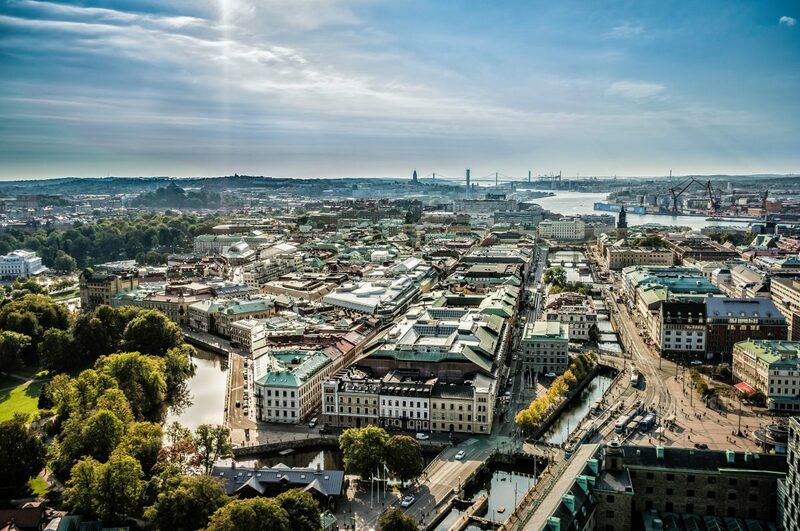 ¿Did you know that Gothenburg has over 175 m2 / 1900 sq ft of green spaces per inhabitant and over 5 million trees? No doubt a green city that also tastes like sea and salt. Speaking of which, do you fancy a trip to the archipelago? Stop walking and take the tram nr 11 towards Saltholmen. Best way to do that is getting back to Järntorget square. From (10) Saltholmen pier you will be able to visit some of the closer islands at Gothenburg’s Southern archipelago like Asperö, Brännö, Styrsö or a little further away Vrångö. The transportation by boat is included in your city card. During my different visits to Gothenburg I have visited Styrsö and Vrångö and therefore I always recommend visiting one of the islands on a sunny day and getting soaked of the maritime feeling that Gothenburg has. And if you happen to be in one of these coastal villages take the chance to enjoy a recently picked dish of local seafood. Back from the island trip is time to head back towards your accommodation and rest before day 3. This is the route map for day two. 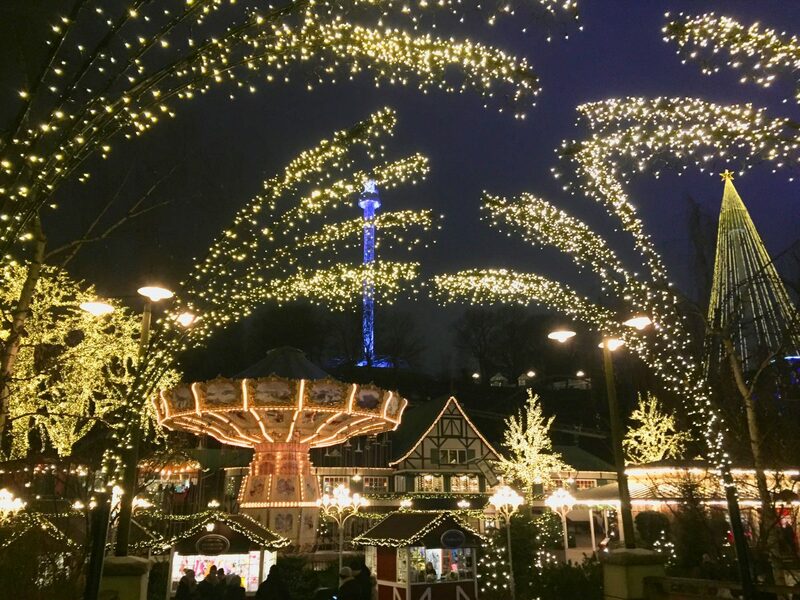 One of Gothenburg’s main icons is (1) Liseberg’s Amusement Park. Liseberg is the biggest park in Scandinavia with over 41 rides and attractions. If you visit Gothenburg during Christmas is simply spectacular as I could experience for two years in a row. Even if you are not so interested to spend your day in an amusement park it deserves a visit. Maybe you could even ride a free fall and take amazing pictures of Gothenburg from above. 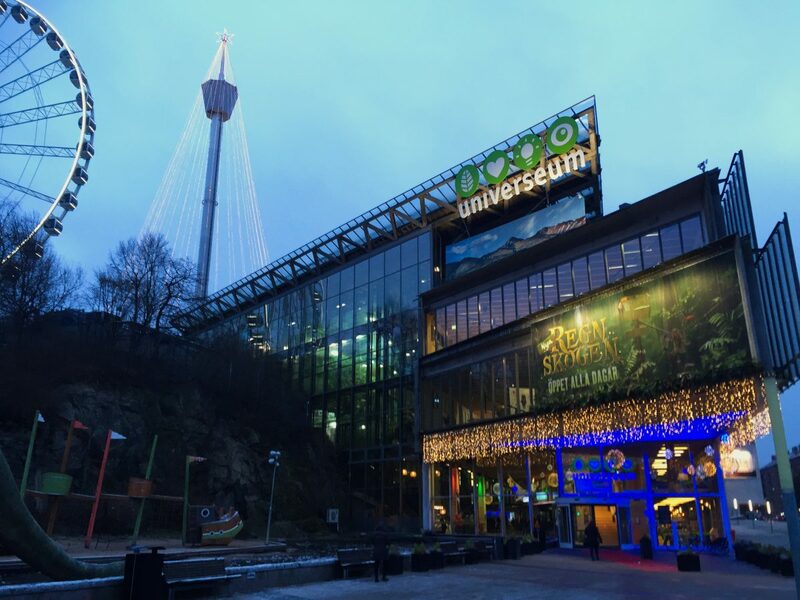 Just behind Liseberg you will find (2) Universeum, a 7-floor Amazon forest with animals right in the city and (3) Världskulturmuseet, a museum dedicated to different cultures in our world with exhibitions arrived from every corner of the planet. 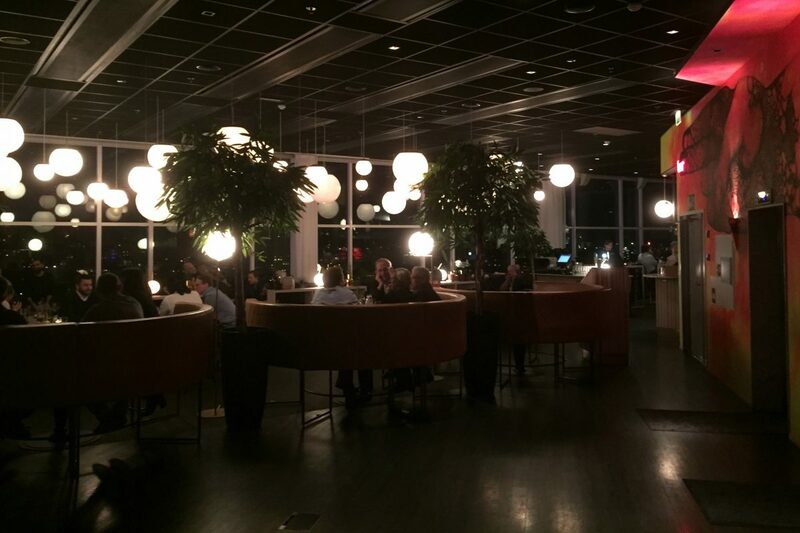 If you have finished your visit and are feeling hungry I can recommend you to head towards (4) Heaven 23, the restaurant at the top of one of Gothia Towers, and enjoy a local delicatessen which is – shrimp sandwich or räkmacka in Swedish. Walking through one of the main avenues out of Liseberg called Skånegatan, you will find (5) Ullevi Stadium and to the left (6) the Old Ullevi Stadium. Behind it lies (7) Trädgårdsförening, one of the best preserved 19th-century parks in Europe. During the summer there is a rose garden full with thousand of flowers and tropical plants. From here head back towards Kungsportsplatsen and take the tram nr 5 to Eketrägatan and from there bus nr 32 to Arendal Skans where there is one of the international icons of Gothenburg: the (8) Volvo Museum and factory also included in the tourist visitor card. This is the route map for this third day. 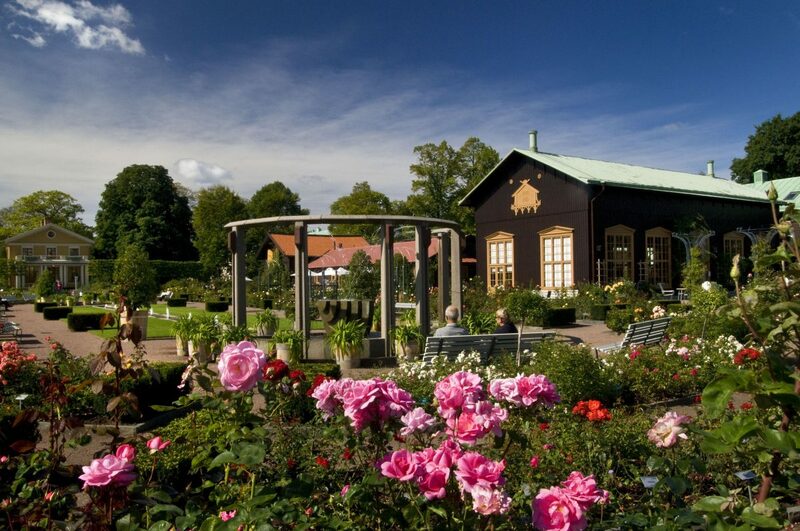 There are several Michelin-starred restaurants in Gothenburg: Sjömagasinet – perfect spot to enjoy the Christmas buffé (but not only then) – and Bhoga, Koka, SK Mat & Människor, Thörnströms kök, 28+ and the restaurant Upper House. Gothenburg is famous because of being the city where a lot of metal bands were born. There are a lot of places and experiences in the city to enjoy this kind of music. In August the city has its own festival called Göteborgs Kulturkalas, a cultural festival that fills Gothenburg with culture and events. If you can choose when to travel that’s a perfect time. There is an old secret hangar turned into an aviation museum called Aeroseum – one of the things that are included in the city card. It is located a little far away of the city center so it may be just for those of you who are in for an adventure. If you want to know more things to do during your stay in Gothenburg download the official Gothenburg Guide in PDF in English. A recommendation regarding places to avoid: the area surrounding Nordstan shopping mall and Brunnsparken at night. There may be strange guys around. During your stay in Gothenburg the tram will be your main transportation system. There are also some buses and boats that may be useful for you. If you have the tourist visitor card the transportation is included (even the boats to the archipelago). 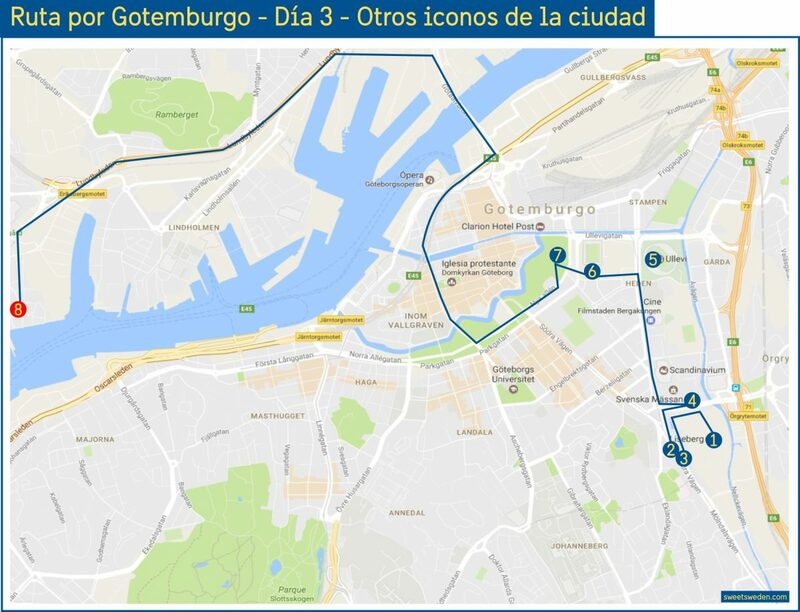 There is map of Gothenburg’s Public Transportation System in PDF here. 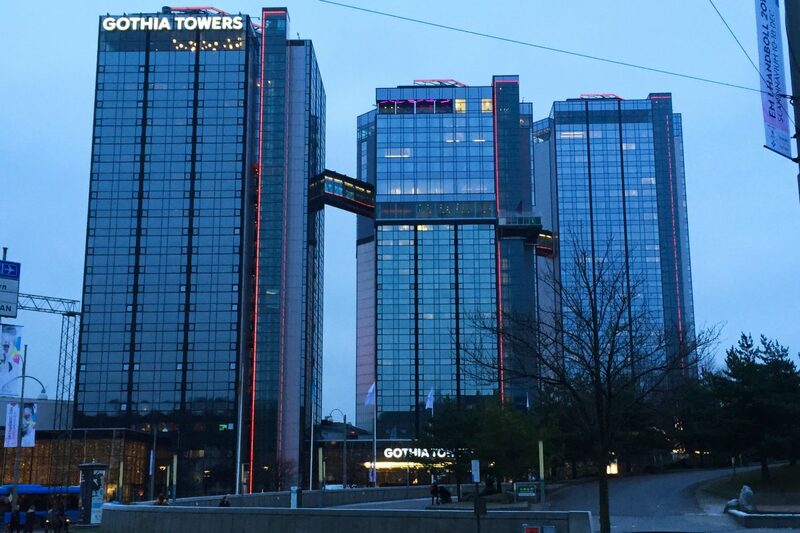 In one of my visits I stayed at Gothia Towers, a 4-star hotel located in front of Liseberg’s amusement park, which also hosts inside a 5-star hotel called Upper House! On another occasion I stayed at Hotel Avalon. If you have the City Card then it does not really matter where you stay. 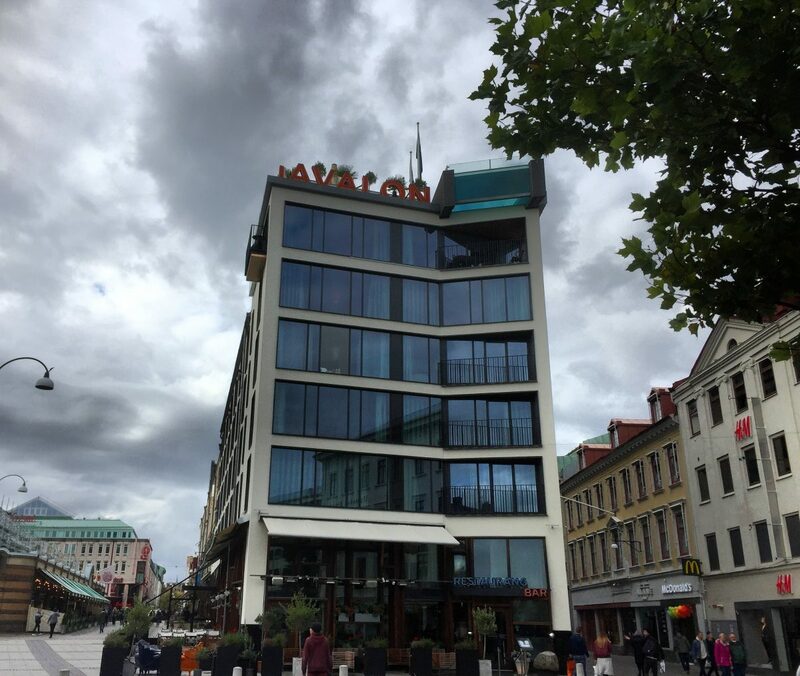 Otherwise is better to pick a central hotel like Hotel Pigalle, or Avalon (which has an outer pool like Gothia Towers) or Clarion Post close to Gothenburg Central Railway and Bus Station called Nils Ericsson Terminalen. This is my recommended route to visit Gothenburg in 3 days. Obviously if you are staying longer you could extend this route to visit art galleries (like Röda Sten), other museums or even make a day trip to different locations on the West Coast of Sweden like Marstrand Island or Kungälv. 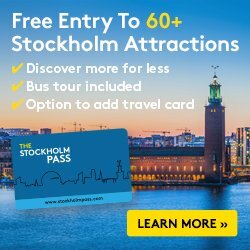 If you are also planning to visit Stockholm check my article What To See & Do In Stockholm In 3 Days. 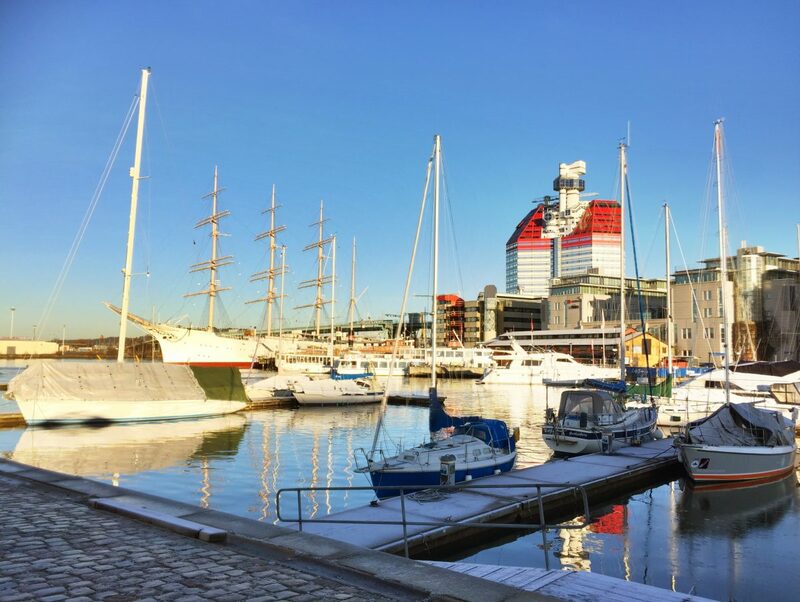 Have you been in Gothenburg recently? Did you like it? What would you add to my list of things to see and do? 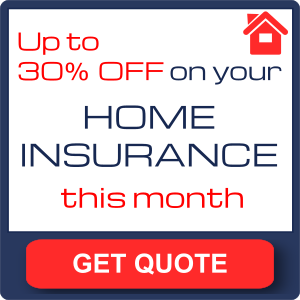 Feel free to leave me a comment, question or suggestion below.